Being all happy because school was off, I set out to make a number of pastries to share with the friendly folk at Real Move Estates (best neighbours in the world!) and with our other neighbour, the chill grocer who gave me a bacon avocado. 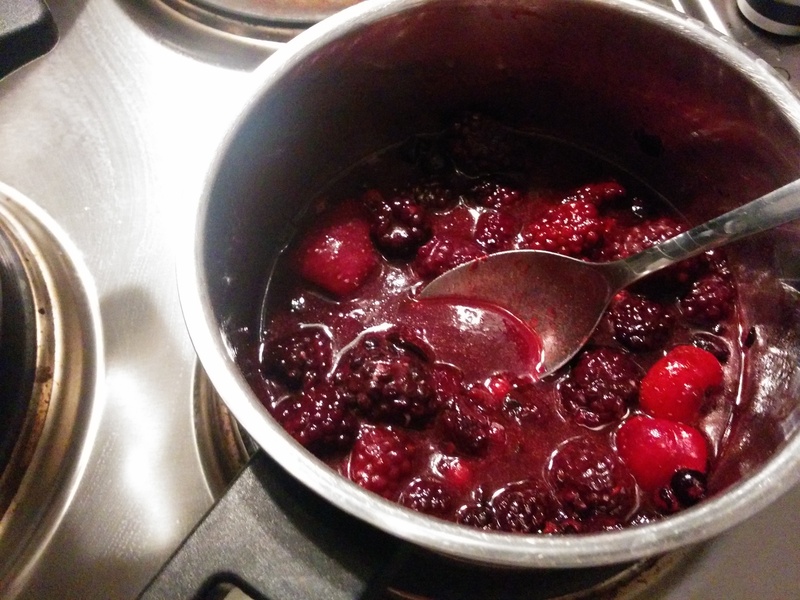 The first thing I did was boil down half a bag of frozen berries with some sugar and lemon juice to make a berry filling. As that bubbled merrily on I made a simple shortcrust pastry, kneading flour and butter together and letting it rest for a while before rolling it out. The whole thing was a leisurely affair. 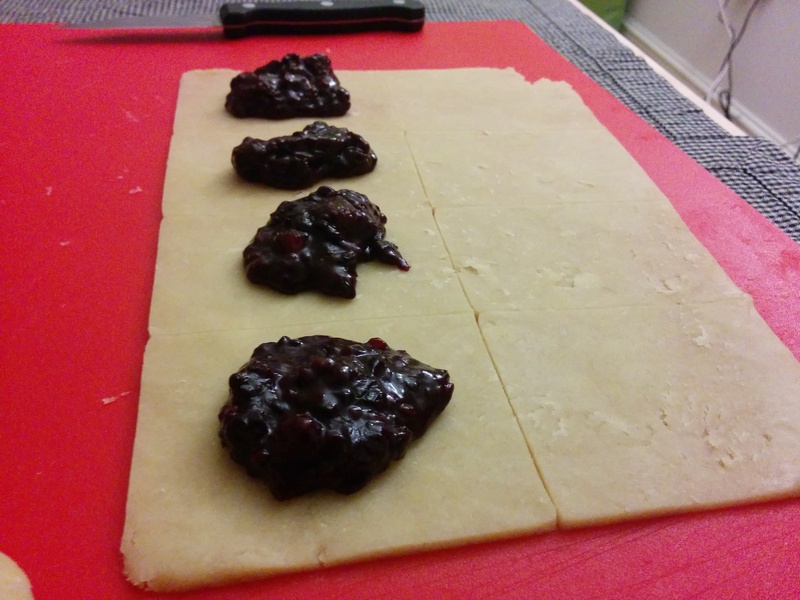 Only after the filling cooled did I spoon it onto the pastry. 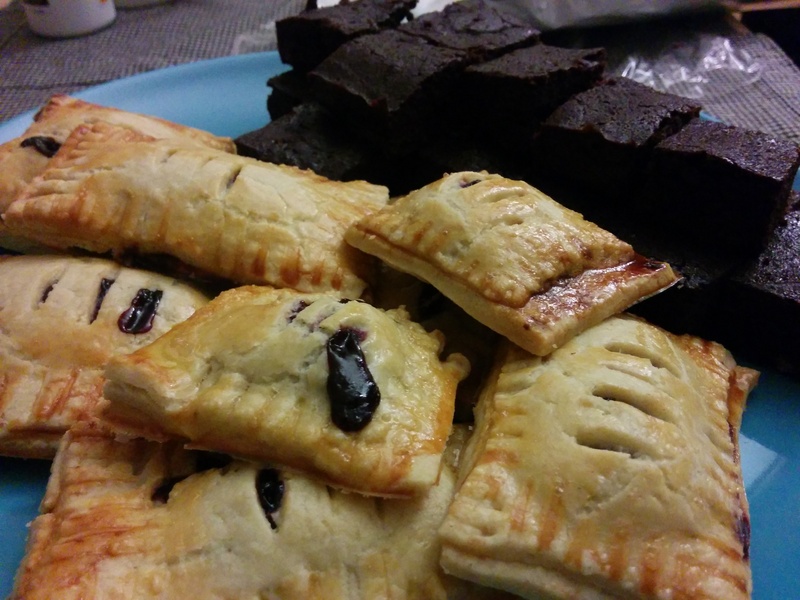 Now the hand pies (because that is what they were) went into the oven alongside some dark chocolate brownies, and when they came out they both looked oh so tiny and tasty! 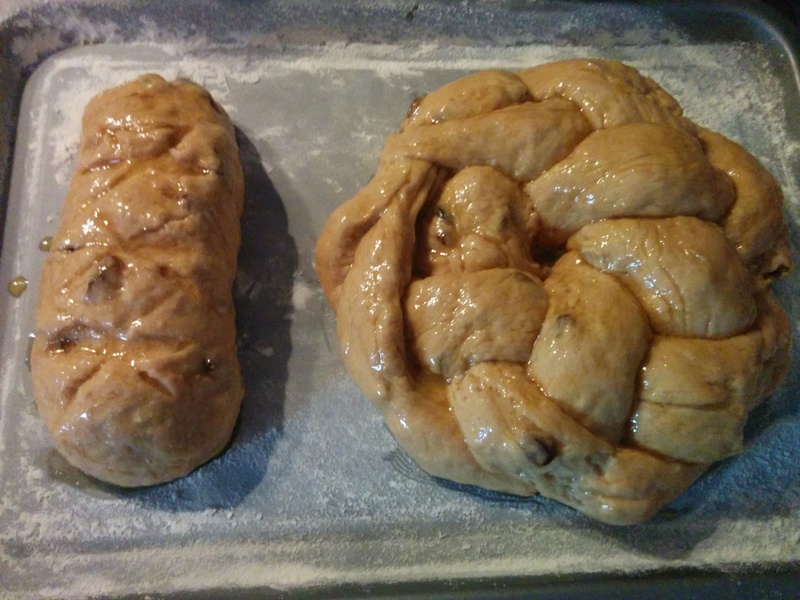 We brought these down to our friends, alongside a large braided raisin loaf (the picture’s before baking, obviously). 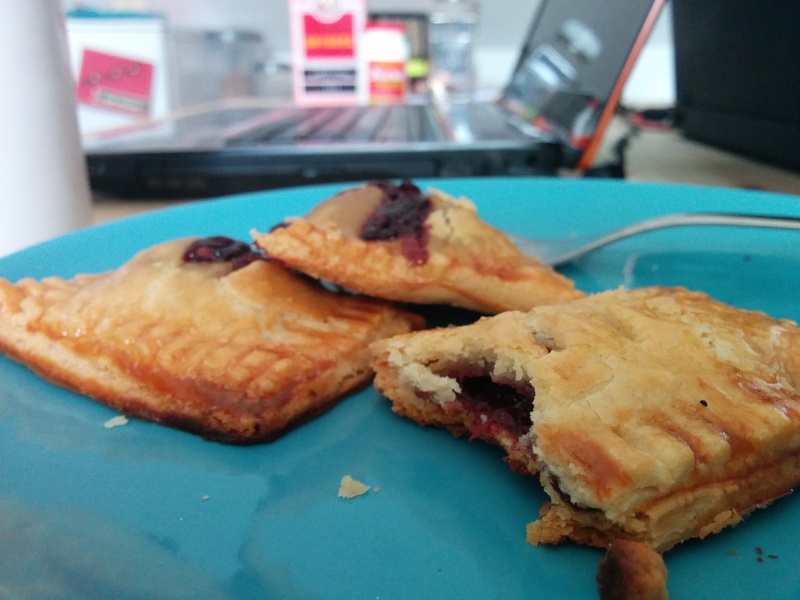 … and then in the morning we enjoyed what was left over of the hand pies for our breakfast. We do like ourselves some homemade pastry.